The funcubedongle, available at http://funcubedongle.com, is easy to setup and works well with WriteLog. 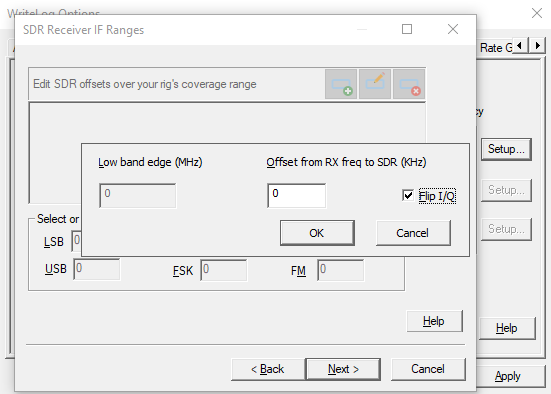 Connect one to your rig’s IF output, WriteLog can display a panadapter on its Band Maps. 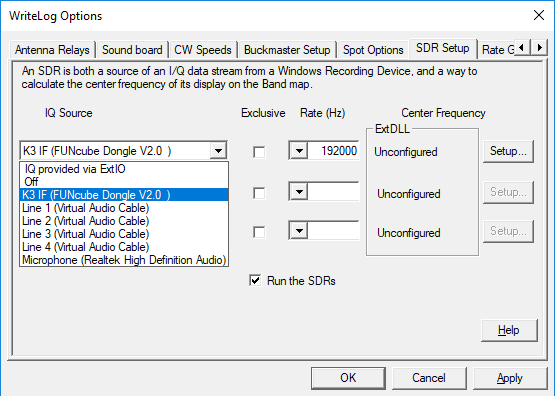 The needed USB sound drivers for the funcubedongle should automatically install when Windows detects the device having been plugged in. 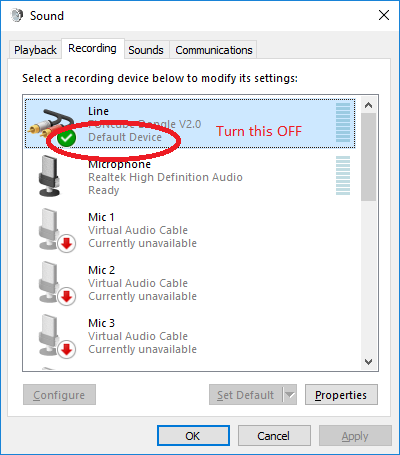 Annoyingly, Windows almost always automatically makes a newly plugged in device the “Default.” Use the Set Default button on the device you would rather be your default audio input. 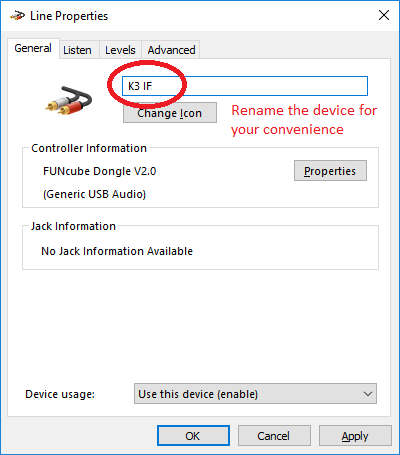 The Funcubedongle is useless for audio input, even though it presents itself to Windows as such. Now click Properties and, for your own convenience, update the name of the dongle so its easier to find and select from within WriteLog. 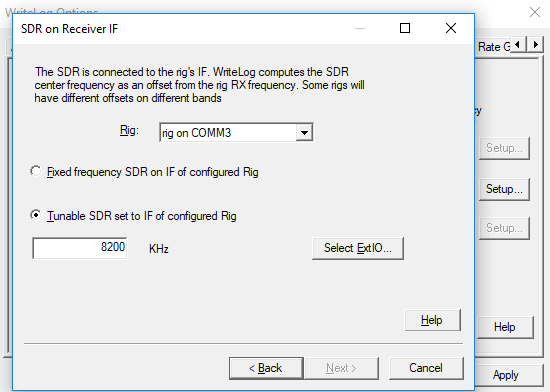 The funcubedongle’s SMA port is connected to my K3’s IF output, so I select “SDR on IF of configured Rig” and Next. The K3’s IF is centered around 8215KHz. We’ll tune the SDR off to one side to keep its oscillator out of the range it might be picked up in the K3’s IF. 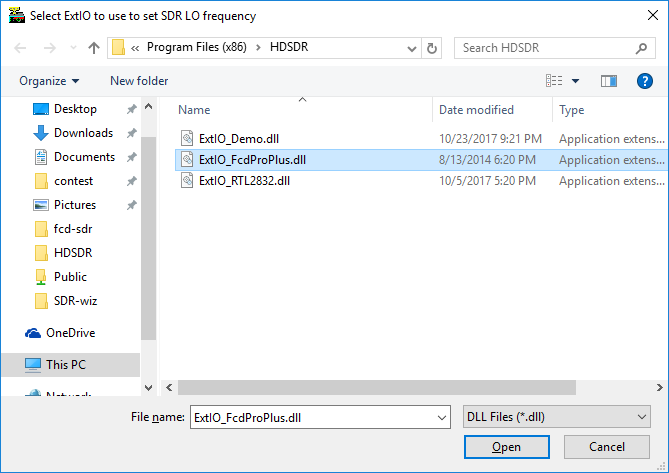 Use Select ExtIO DLL to browse to the DLL you downloaded. 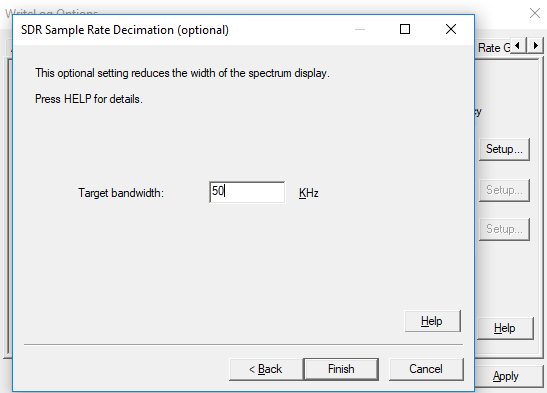 I have an HDSDR installation and share the same DLL with it. 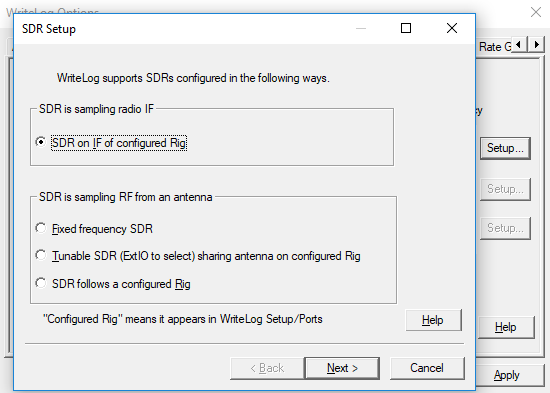 WriteLog can use the DLL in HDSDR’s folder. Then click Open and Next. We’ll leave the mode-specific offsets to fix up later and click Next. WriteLog lets you run the ExtIO DLL as a different Windows username than WriteLog itself. 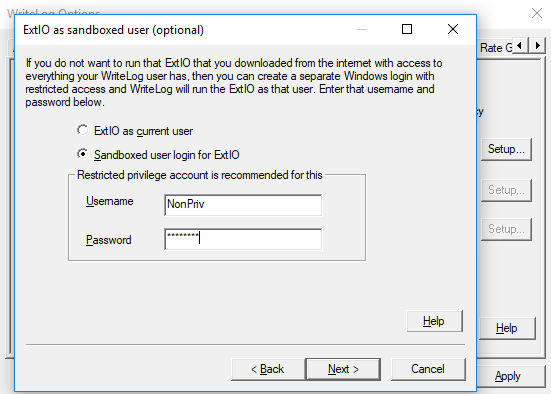 This enables you to configure Windows to prevent code in the ExtIO dll from accessing the data you access when running WriteLog. The results are not on frequency yet. 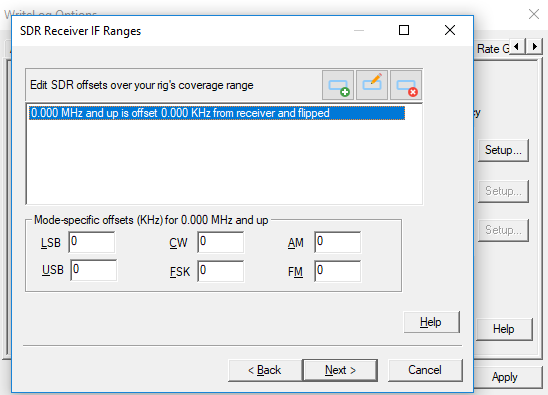 A later blog post describes how to calibrate WriteLog’s IF Ranges dialog for your particular rig.